The UK’s most expensive airport car parking prices have been revealed following a study by Admiral Insurance. They discovered that the most expensive airport parking costs in the UK were three times more than the cheapest one. 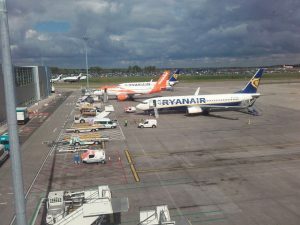 Their study found that Luton airport charged the most for parking, whilst Exeter was the cheapest. Parking at Luton airport costs three times more than at Exeter which was found to be the cheapest © Copyright Alex McGregor and licensed for reuse under this Creative Commons Licence. An online investigation carried out by Admiral has revealed the price for a two-week stay at Luton airport’s standard on-site car park cost motorists £191, three times more than the cheapest which was Exeter, where a similar space cost only £65 for the same time period. 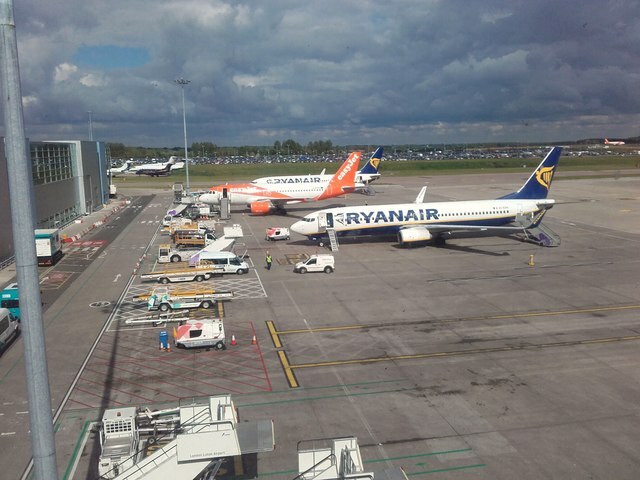 According to the study, just pulling in to the airport to drop off a passenger can cost a driver £8.50 at Stansted, with Luton and Doncaster close behind on £8 and £6 respectively – only six UK airports out of 30 provided motorists with a free 15 minute stay. The insurance company looked at three UK online car parking prices for an on-site space at 30 airports, covering a two-week holiday during the summer months and found a ‘postcode lottery’. For a two-week spot, the average car parking rate worked out at £111, except those flying from Luton would have to pay £80 more – an overall outlay of £191. London City came out as the second most expensive airport in the UK at £181, with Gatwick North not far behind on £175, followed by Gatwick South at £167. Anyone flying from Heathrow, terminals 2, 3 and 4 will have to fork out £146 and from terminal 5, the charge increases by £10. “We all know that an overseas holiday in the summer time can be costly, but our investigation has revealed that holiday makers can end up feeling short-changed before they’ve even boarded the plane,” said spokesman Alistair Hargreaves for Admiral. What their study found is that airport car parking prices are basically a ‘postcode lottery’, with huge differences in price depending on whereabouts in the country you are and from which airport you are travelling from. The best advice is to plan ahead, factor in how you’re getting to and from the airport and possibly look at other options available such as parking off-site before booking a holiday, that way there won’t be any hidden surprises once you arrive at the airport. Please click here to find out more about our car leasing services and special deals, or give us a call on 0800 311 8290.